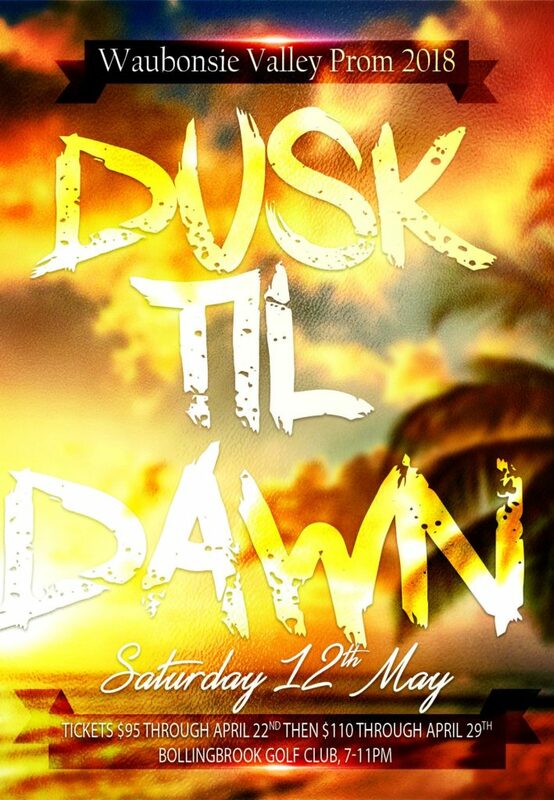 Waubonsie Valley’s Prom, Dusk ’til Dawn, is on Saturday, May 12 from 7:00 p.m. to 11:00 p.m. at the Bolingbrook Golf Club. Tickets are now on sale through Sunday, April 29. Tickets are $110. All tickets sales will end on Sunday, April 29.